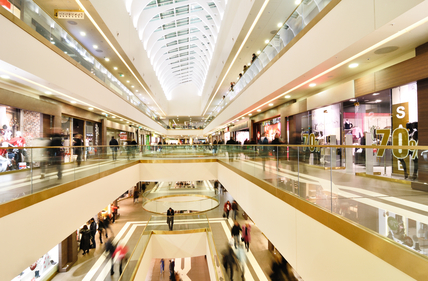 There are many opportunities in the retail sector for Northern Utilities to save you money. Retail establishments are full of devices which can benefit from Voltage Optimisation, not only ensuring that appliances operate more efficiently and consume less energy, but also that they last much longer. They also need to be well lit, Energy Efficient Lighting can provide a reduction in energy cost of over 80% and with a range of lighting styles and technologies a system can be installed that not only saves money but looks good for your customers. You may be interested in producing you own energy on campus using our Innovative Quadgen Biomass boilers. Designed to produce electricity, heating, hot water and chilled water, they are ideal for applications where these things are in constant demand. If you don’t have space on site or you’d rather improve your existing boilers to ensure they are running as efficiently as possible. Our range of Boiler Optimisation systems will extract the maximum efficiency and life span for you existing equipment. As well as other money saving technologies like Combined Heat and Power and Solar you can make significant savings using our Brokerage service. We can save you time, effort and money getting you the best deals available at any given moment, offering a range of contracts to suit your needs. Of course the majority of these solutions not only save you money but are of real benefit to the environment so please get in touch to discuss the myriad of ways in which Northern Utilities can help you or arrange a survey for tailored recommendations.